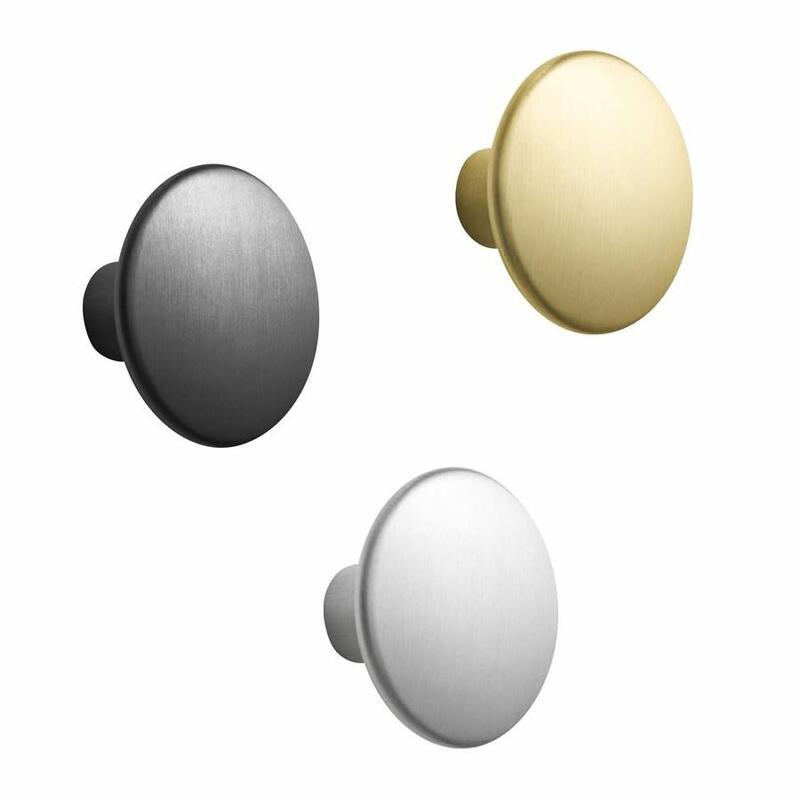 Part of the much adored DOTS coat hook collection from Scandinavian brand Muuto, these metal versions are beautifully crafted in stainless steel with PVD vacuum treated surface in black. Dimensions: Large: 5cm in diameter. Colour: Black, Brass, Aluminium. Material: Stainless steel. Please note: if we are out of stock of any variation please allow up to 4 weeks for delivery.